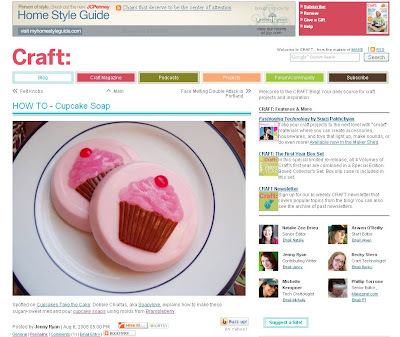 Craftzine.com picked up the Cupcake Project that SoapyLove did for the Soap Queen blog. Click here if you haven’t seen the project in its entirety or click here to get yourself the mold. Thanks for the shout-out, Craft. It’s an honor to be recognized by one of the most innovative periodicals on the market today.